The self-proclaimed ‘Tax-Payers Alliance’ published a blog last week by Charles Amos calling for the UK’s remaining Sunday trading laws to be abolished. This is not surprising from the right-leaning think-tank who appear to wish to abolish most laws. The TPA was originally established to “speak for ordinary taxpayers fed up with government waste, increasing taxation, and a lack of transparency in all levels of government”. Regardless of whether you agrees with this sentiment, you have to admit that calling for the abolition of Sunday Trading laws is going a little off-topic. Sunday trading might prompt emotions about organised religion or access to supermarkets but it has little to do with public sector, wasteful or not. Nevertheless, Amos’s article is one-sided, myopic and, imho, wrong. In the ‘good old days’ of the 50s, 60s and 70s lots of people thought Sundays were boring. The law did not allow large shops to open but smaller shops, e.g. corner shops and petrol stations remained open to allow people to buy newspapers, perishables and petrol. In terms of shopping, everyone knew that Sunday was ‘special’ so they did their proper shopping at other times of the week. Of course, these were also the days of street-markets, early closing days and before ATM cashpoints, let alone the internet. 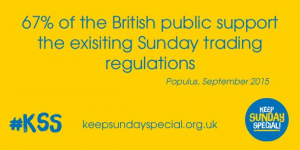 Back in the early 1990s, the Keep Sunday Special campaign launched alternative proposals for liberalising Sunday trading which were designed to meet consumers’ needs without creating a free-for-all. These were called the REST proposals which was an acronym which stood, if I remember correctly for: Recreation, Entertainment, Sport and Transport (this was 30 years ago, feel free to jog my memory and I’ll edit accordingly). The REST proposals would have allowed certain stores such as DIY shops, garden centres, car dealerships and cycle shops while maintaining the rule on supermarkets – Remember these were the days before supermarkets sold absolutely everything! Sadly, the Government caved into the supermarket lobbyists and allowed six hours of trading on Sundays which was effectively game over for many of the opponents at that time. 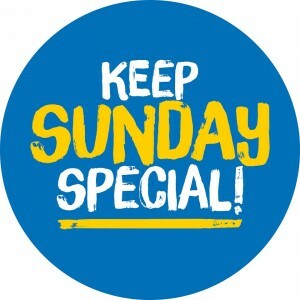 I remember being involved in the ‘Keep Sunday Special’ campaign during the emotive public discourse before the introduction of the Sunday Trading Act 1994. I might have even written to my then MP, Henry Bellingham, about the issue. The churches and the trade unions were both four-square against Sunday trading for good reasons which are just as valid now as they were then. Sunday trading undermines family cohesion. In a traditional (or nuclear) family, if both parents work and either of them have to work on a Sunday then it is difficult for that family to have any time together to bond and stay in touch with each others needs. The same is true for couples and the same is even more true for single-parent households. If a single-parent with school-aged children has to work both days of the weekend then they have no ‘quality time’ with their offspring and will only see them both parent and child are worn out from the working day. Sunday trading undermines workers’ rights. It is still illegal to force retail employees to work on a Sunday but it is relatively easy to find ways to justify ‘letting someone go’ if they decide they no longer wish to work on Sunday for religious or family reason. I know several people who have been refused work in call centres because they would not commit to Sunday working; this was not the reason given but it was undoubtedly the reason. Sunday trading undermines communities. During the decade of debate before the 1994 legislation much of this argument centred around faith communities. The Christian churches were pretty much united in defending the Fourth Commandment (See Exodus 20). Nowadays, far fewer people attend Church of England Sunday morning services, partly perhaps because it is more difficult to attend as a family, let alone have a traditional Sunday roast at home afterwards. However, Sunday provides communities with the opportunity to play sport and take part in other activities all together at the same time. The rugby club in Deeping St James is very busy on a Sunday morning with kids and their parents participating in competitive sport. If more people are forced to work more hours on a Sunday then it will be more difficult for people to make fixtures and our kids will be less healthy and competitive and our communities much weaker as a result. Cycling clubs also meet on Sunday mornings because the roads are much quieter because far fewer people commute to work. Sunday trading undermines small businesses which, alongside manufacturing, are supposedly the engine of our economy. 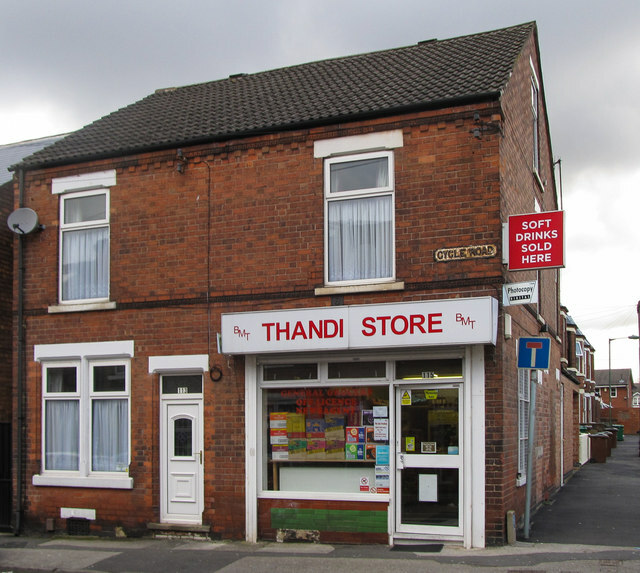 In the mid-90s I lived in Forest Fields in Nottingham and I remember asking the owner of our local corner shop if his trade had been affected by the liberalisation of Sunday trading laws. He replied to say that his turnover had plummeted on Sundays from about £700 to barely £200. In subsequent years many corner shops like his collapsed due to the availability of cheap booze, cheap milk, cheap everything from supermarkets. Sunday trading was supposed to make more convenient but in reality it made buying a pint of milk much harder, especially if you didn’t have the luxury of a car. Increased Sunday opening also has a negative effect on other small businesses e.g. if you are a self-employed barber or beauty salon it is difficult to stay open seven days a week. The same goes for small suppliers of supermarkets who may be required by their retail customers either to provide goods and services during all store opening hours or conversely be available at ever more awkward hours when the store is closed. I acknowledge that there are a lot of factors at work in undermining the fabric of our society. Family breakdown is not only caused by parents working on a Sunday. Small Businesses are not only closing because of competition from supermarkets. Playing rugby is not a panacea for childhood obesity. However, Sunday trading doesn’t help and allowing unfettered Sunday opening will only make matters worse. Allowing big shops to open for longer on a Sunday will not miraculously create more money to spend in those shops, it will only divert money away from alternative providers who do not have the resources to open their doors 24:7. At the same time it will generate more noise and traffic. Incidentally, people living in many secular states in continental Europe seem to cope with their shops being Sunday. What is about we British that renders us incapable of remembering to buy bread and milk on a Saturday? There are obviously religious arguments why Christians in particular are opposed in principle to Sunday trading and “mutual respect and tolerance of those with different faiths and beliefs” is purportedly a fundamental British value. It is my opinion that when everything becomes the same then nothing is special. This is true of Sunday as much as anything else. Disclaimer: Over the last thirty years, like most other people, I have got used to the shops being open for six hours on a Sunday. If you happen to spot me in Tesco on a Sunday afternoon, please don’t shout “Hypocrite” from across the store! 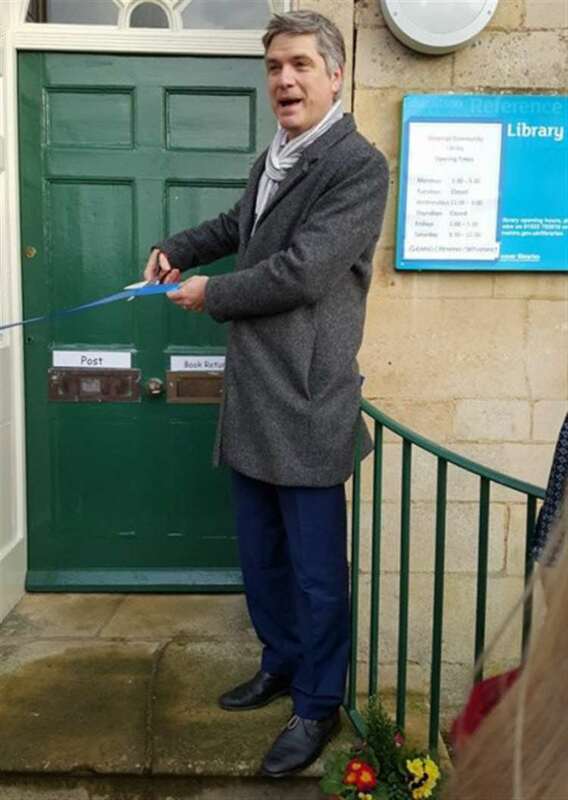 Market Deeping Remembers – 1918-2018 Exhibition – @StGsCofE this Sunday. This Sunday, 11th November 2018, St Guthlac’s Church in Market Deeping is hosting a reprise of the ‘Deepings Remembers’ exhibition. I am pleased to report that Deepings Heritage (and no doubt others) have facilitated another opportunity to see the Market Deeping posters, dossiers and photographs of those who served in the war. They were all prepared by the Deepings Remember 1914-18 Group as part of an exhibition in the Community Centre in November 2014. Other items connected with the war, and especially the Armistice and eventual peace, will be on display. Information about the 21 men who served, whose names were found in recently discovered Parish Magazines. You might be related to them as is one recently located local family. Letters from Rector, Canon Ashby written while he served in the trenches – including one written to the children of the Sunday school, featuring “Whiz Bang” the kitten. The organisers hope you will join in remembering the men and women who served – those who survived and those who never returned to their families and to our community. #FOBT machines to linger despite @southkesteven opposition. Fixed Odds Terminals are a scourge of our society. They lurk in high street bookmaker shops waiting for vulnerable gamblers to fritter away their wages. The consequences can be devastating for victims, their families and wider society. Each machine allows a £100 stake to be gambled every 20 seconds. In 2016, gamblers in South Kesteven lost over £2.2million to these machines of which there are over 50 in the District. The figures for Peterborough are much higher as it is well-known that the machines are more prevalent in areas of financial deprivation. This is why, in November 2017, I proposed a motion to South Kesteven District Council recommending that the Council support a reduction of the minimum stake from the current £100 down to £2. The motion was passed (unanimously as I recall) and the council responded to the Government consultation accordingly.